We are a one-stop destination for your search of quality Chest Nuts. 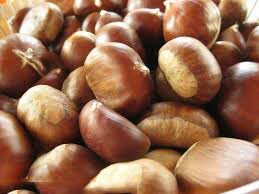 The Chest Nuts are popular cool-season edible nuts which are starchy, sweet and rich in flavor. These nuts are less in calories but rich in minerals, vitamins and phyto-nutrients that benefit human health. Chest Nuts are widely enjoyed raw, boiled and roasted. We hygienically pack Chest Nuts in food grade packaging material and make them available at very affordable prices. In addition, we ensure safe deliver of Chest Nuts owing to our modernized transit facilities.